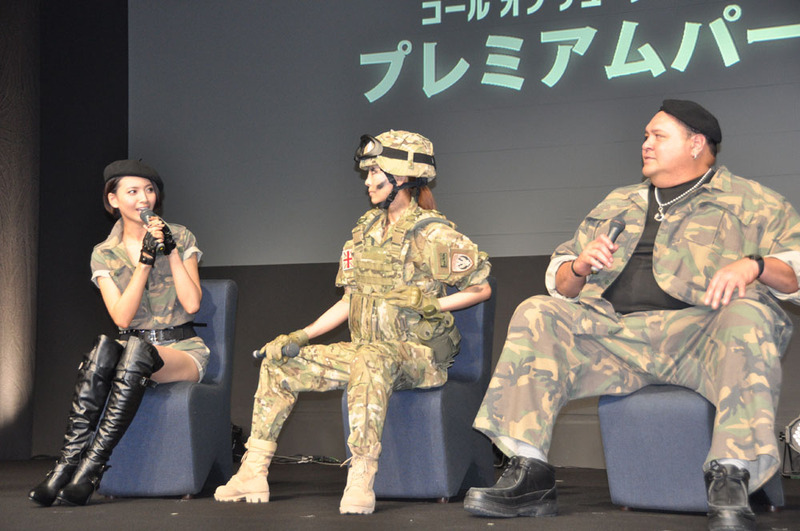 It's a safe bet that the Japanese launch of Call of Duty: Black Ops featured more cute actresses in military getup than did any other launch event around the world. In case you missed it, Call of Duty: Black Ops was a pretty big deal around the world when it launched last week. Though Japan has never been considered a rich market for shooting games, Treyarch's blockbuster FPS hit shelves in the land of the rising sun earlier today (well, technically yesterday), where it was published by Square-Enix, as was its predecessor Modern Warfare 2. As with other launch parties around the world, the Japanese launch of Black Ops was an event. However, rather than being headlined by rockers like Metallica, its main attractions were popular model-slash-actress-slash-fashion designer Uno Kanda, fellow actress Natsuki Kato, and retired sumo wrestler Akebono Taro. Squeenix boss Yoichi "Imperial Hot" Wada and Treyarch design director David Vonderhaar were also in attendance, but it's likely that they weren't wearing camouflage and body armor themselves. 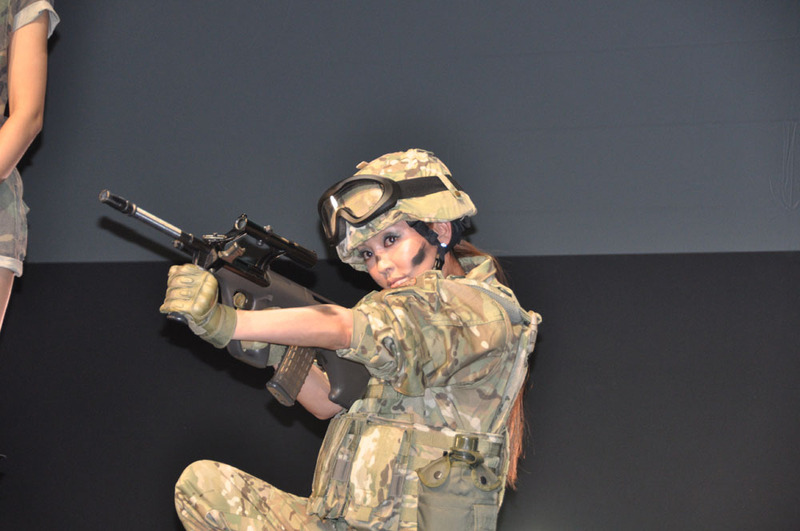 The two ladies jointly announced a "Call of Duty Survival" event to be held on Japanese MTV in which viewers could challenge various celebrities to rounds of Black Ops Deathmatch. I guess MTV doesn't actually play music anymore in Japan, either. One thing is for sure, though - I wouldn't have expected a Call of Duty: Black Ops launch to look this ... adorable.